Welcome to the Old Bloke On An Old Bike blog. My name is Steve Pudney. I’m a university professor now, after a recent move from Essex, working in Sheffield, England. Incredible though it still feels – I turned sixty-five in June 2016. Many people still regard a sixty-fifth birthday as the beginning of old age and incapacity. They’re wrong! I wanted to mark this personal event in a way that emphasises the capabilities of older people and also does something to help people who do face disability in later life. My aim was to restore to pristine condition a bicycle that is as old as I am and, starting on my birthday in 2016, to cycle from Land’s End to John O’Groats – a 65-year-old bloke, riding a 65-year-old bike (almost) 65 miles a day. I was accompanied part of the way by my son, Eric – another academic, based in Lund, Sweden. Eric was riding a 25-year old bike. The ride was a great success and enormously rewarding for me. This blog is a kind of diary, telling the story of the restoration project and the planning and execution of the ride. Although the Land’s End-John O’Groats ride is now done, I’ll keep this site and the blog going, to cover other bike restoration projects and further adventures on old bikes. I’m doing this for a good cause. Dementia is a disability that causes terrible suffering for many older people and their families. It also generates enormous costs of long-term care for the rest of society. We all stand to gain from progress in the treatment and care of dementia. I want to appeal to anyone who visits this blog to consider sponsoring my efforts through a donation, small or large, to Alzheimer’s Society. You can do this by visiting my JustGiving page. The appeal remains open, so please help me to reach the target of £6500. Well old man, if you manage to achieve your goal I will happily sponsor you for £65. Good luck and best wishes to both you and Ruth. Sorry old man – only just seen this. It’s very good to hear from you – and thanks very much for the sponsorship. Building the bike may well prove more difficult than doing the ride! Hope to see you again before too long. Hi Barry. Sorry to take so long to reply – I can’t keep up with everything. The donation is really kind of you. It’s great to have the support of another “old bloke”! 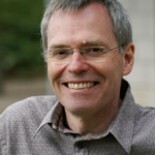 I'm Steve Pudney, a health economist now at the University of Sheffield. I carry out research on policy on disability, and I'm very concerned about the prospects for many disabled older people. I'm a keen cyclist and so decided to do something practical to help by raising money for Alzheimer's Society. Please consider supporting us.